Integration with other Office 365 applications like SharePoint Online, OneDrive for Business, Exchange Online, Office 365 Groups, Azure Active Directory, and Planner. Integration with Office 365 administration, security, compliance, and auditing systems. Deploying Slack means that an extra, non-integrated application needs support and management. Low cost to adopt because Teams are part of the Office 365 business plans. A free version of Slack is available that offers reduced functionality over the paid-for version. Microsoft competes head-on with the free version of Teams, which has a smooth path to the full enterprise version within Office 365. 125,000 organizations in September 2017. 200,000 organizations in March 2018. 329,000 organizations in September 2018. I assume that Microsoft means “tenants” when they say “organizations.” Some organizations have multiple Office 365 tenants, but this is not the norm. Teams is now available in 181 markets and in 44 languages, including Hebrew and Arabic (introduced in August 2018). Microsoft says that 87 of the Fortune 100 use Teams. Furthermore, they emphasize the enterprise credentials of Teams by noting that sixty customers have more than 10,000 people using Teams and that the largest customer (Accenture) has over 108,000 users. I assume that the users reported by Microsoft are active Office 365 users with a Teams license who perform some level of activity within the application at least once monthly. The data for Slack are less clear, but one May 2018 estimate puts it at eight million daily active users (but only three million of which are paid subscriptions). Taking Microsoft’s figure of 329,000 organizations, if 100 people on average actively use Teams in each organization, the total for Teams approaches 33 million. That figure might seem high, but we can account for six million in the sixty organizations with more than 10,000 users and the overall number should be viewed in the context of 135 million active users of Office 365. Whatever the numbers, the competition between Teams and Slack will drive the development of new functionality, and that’s a good thing. This is an extract from Chapter 13 of the Office 365 for IT Pros eBook. 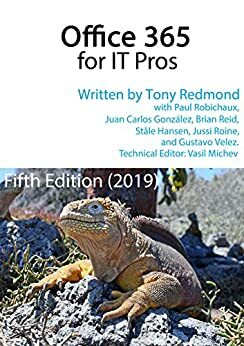 Read much more about Teams in the 80-page chapter, and then go to to read even more in Chapter 14 (PowerShell and Teams) and Chapter 16 (Teams Meetings). Of course, this text is taken from the book at the date of this post. Because we keep on improving and updating our text, it might be different when you read the book. I’m certainly hearing a lot of buzz about teams out there, especially in the Skype Online circles. Microsoft has been charging into new markets and Teams makes a lot of sense in the O365 portfolio but I think Microsoft has their hands full displacing Slack. On a spec sheet, Teams stacks up pretty favourably and as you said Tony, the O365 integration and SSO / admin should make this a killer app, but what Slack has is millions of users that have really “polished the stone”. With a real-time productivity tool like this, the tool just needs to get out of the way, and from my experience with Teams, Microsoft has a ways to go before people will choose to switch. That said, they may get forced to switch by company initiatives. From an enterprise IT management perspective, Teams is pretty compelling. Looking forward to seeing Microsoft put some polish on Teams and win the hearts of users.